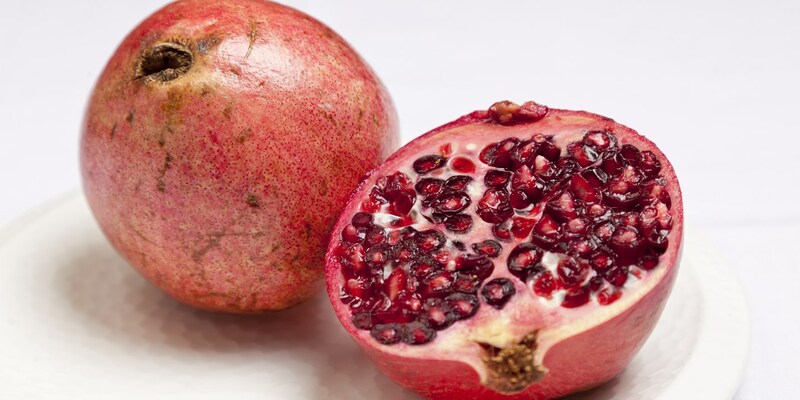 Pomegranates are a wonderful superfood, full of antioxidants which can contribute to preventing cancer and heart disease. Each fruit are full of beautiful ruby seeds which are fantastic in salads or just simply juiced. They're originally from Iran but now they are grown in many parts of the world - notably America, Spain, the Middle East and India, and are in season from November to March. Browse a stunning collection of pomegranate recipes, including Shaun Rankin's cheese soufflé with apple, walnut and pomegranate salad, and Phil Howard's pomegranate jelly, fruit salad and passion fruit and banana sorbet.